One machine, two print functions: print flat and roll to roll media. 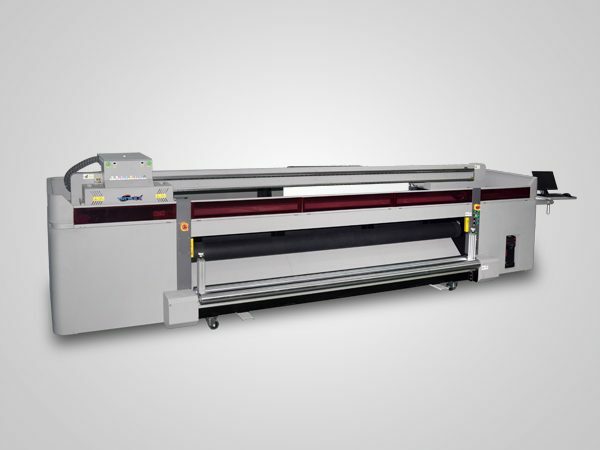 Adopting fast-speed Kyocera KJ4A UV inkjet printheads. 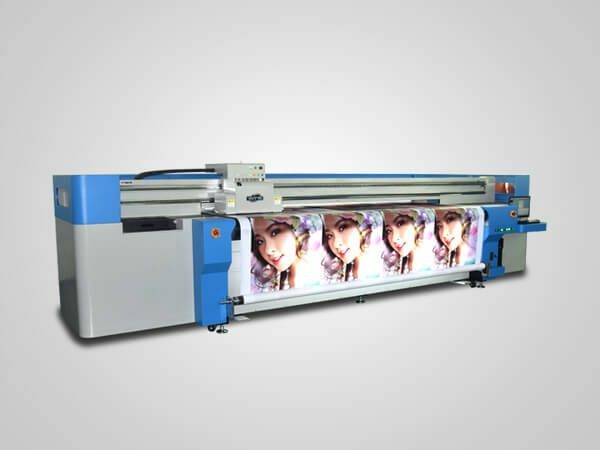 Print width of 3200mm, high resolution up to 635 × 2400dpi. 24 × 7 print mode is allowed. The YD-H3200KJ hybrid UV LED printer is our latest dual purpose production which can bring your shorter delivery time and help you stand out on the market. Equipped with 3-8 industrial Kyocera KJ4A print heads, the number of which can be depended on your demands, the YD-H3200KJ can print rigid and flexible media with the fast speed. With print resolution of 635×2400dpi, large print width of 3200mm, this hybrid UV LED printer with ultra high speed is specially designed for advertising and high-end custom printing. Flexible material: wall paper, advertising cloth, car sticker etc. This hybrid printer adopts 3-8pcs industrial Kycorea printheads, delivering exquisite results with 4pl ink droplet and 600 × 2400dpi. The printer head has powerful internal heating function to keep the constancy of ink viscosity. It jets 40,000 droplet per second with one nozzle, and overall one printhead can print over 1 billion droplet per second, specially suitable for large-area panel and fast production. 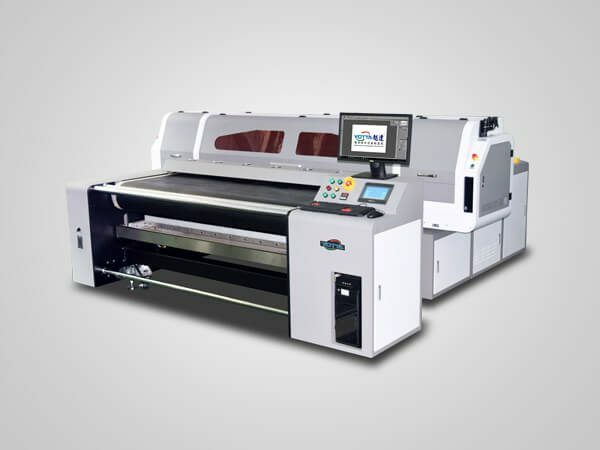 Our YD-H3200KJ has the dual purpose that not only keep most of advantages of flatbed printer, but new launch the function of roll-to-roll printer, which will specially suit for your different requirement. Separately control the negative pressure value of white ink and color inks, as individual viscosity and gravity with each other. It can ensure a smooth printing process and outstanding printing effect. The pressure value can be checked and adjusted according to production environment. It adopts metal encoder grating which is more precise than the mormal. Besides, it is pretty anti-shake and easy to clean. With the constant tension control function, YD-H3200KJ hybrid UV LED printer can protect media from wrinkling when performing roll to roll UV printing. With this function, it is more convenient to position the substrates being printed. It can achieve more accurate positioning and printing easily. When colliding with obstacles, the carriage will stop automatically to protect printheads as well as human safety. 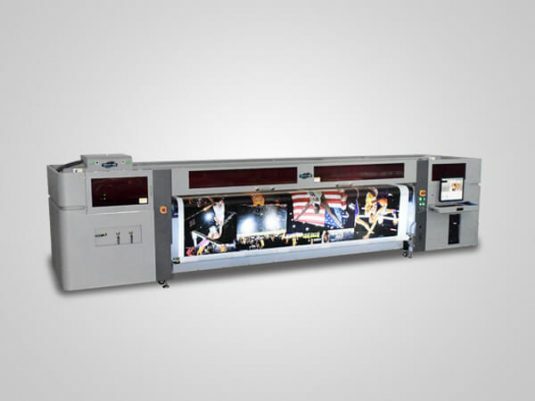 Our digital printing machines employ UV LED curing technology, which won’t generate excessive heat, allowing fast UV ink curing and direct-to-substrate inkjet printing on almost anything, heat-sensitive materials included.